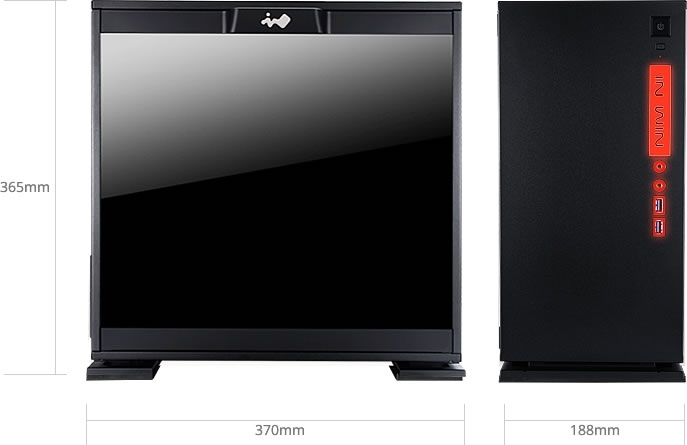 In Win managed to shrink their successful ‘303’ case down to an M-ATX size with their ‘301’ edition. 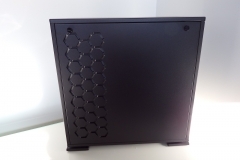 The reduction in size has been well thought out, perfectly executed and would be my personal first choice if I was to build an M-ATX build at the moment. 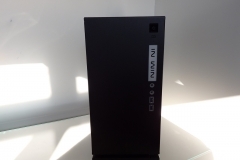 We recently tested and reviewed the In Win 303 and really liked the less than conventional design. 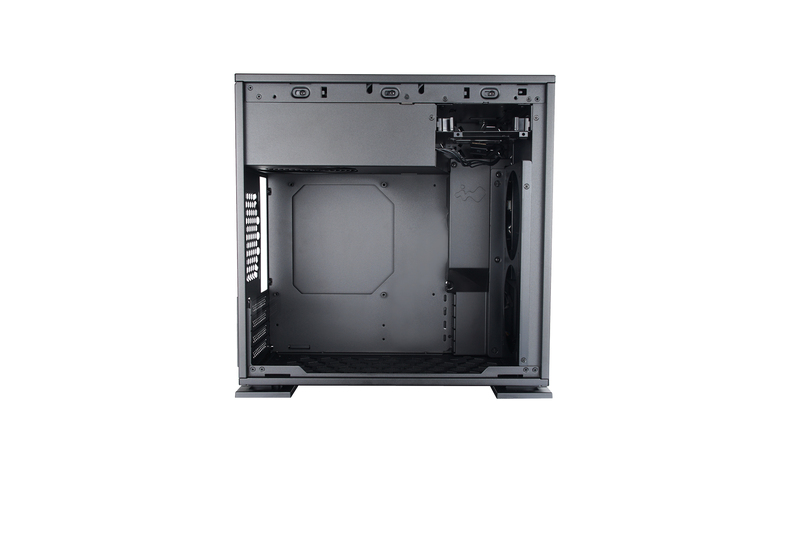 The new, smaller 301 takes the same external aesthetics with solid roof and tempered glass side panel but tweaks the internals for the smaller form factor. 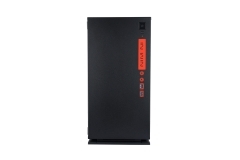 The 301 is available in black with red LED and White with Blue LED. 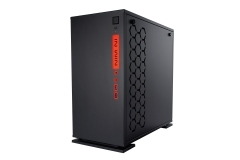 In Win also recently released the 301-C version that has RGB LED and a USB Type-C connector. To be clear, this review is based on our Black 301 review sample. 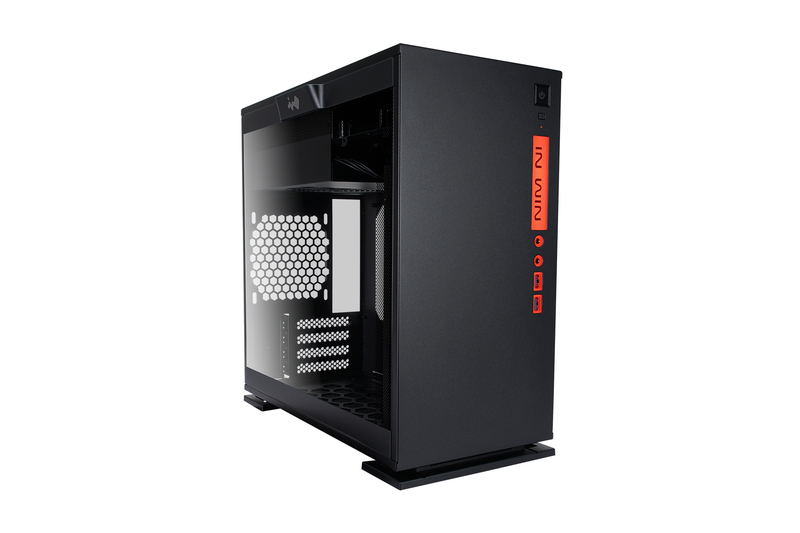 The whole left (looking from the front) side of the case is tinted tempered glass which looks great and really shows off the whole system inside – so keeping things neat is a must. 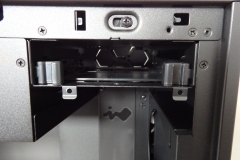 The side panel is tool-less and can be easily removed for cleaning or upgrades. 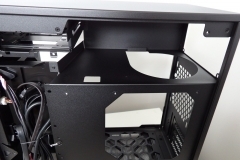 One of the things to consider is that, generally speaking, as you build in smaller cases, neat cable management gets more difficult. 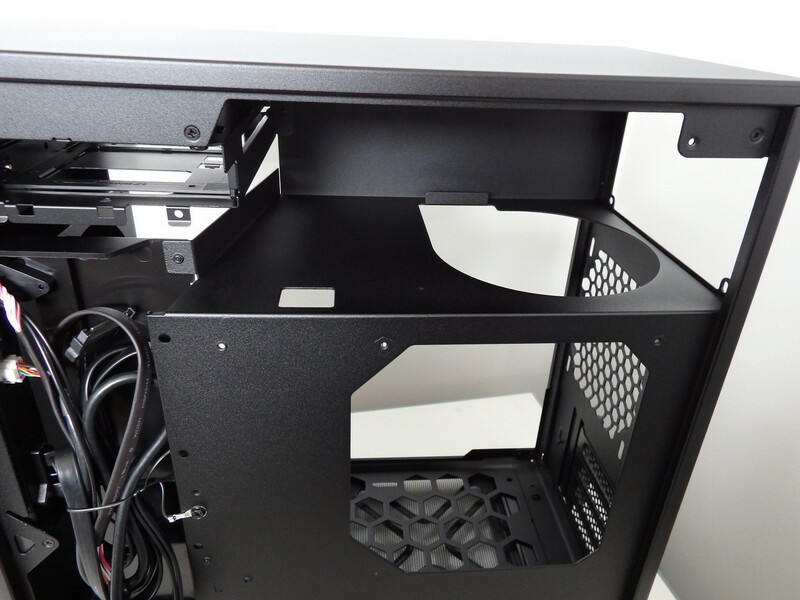 The In Win 301 addresses this with some clever shrouding to hide your cables and stash the excess. 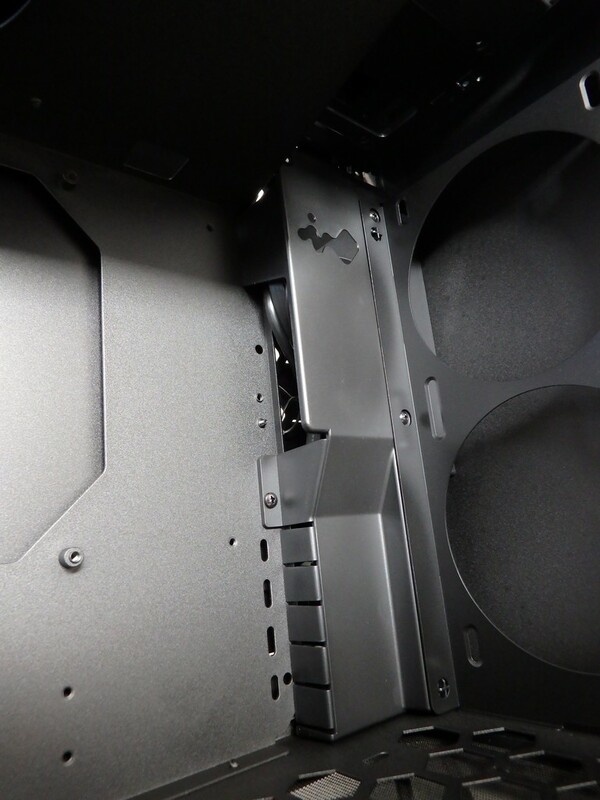 The main shroud runs vertically along the leading edge of the motherboard and has removable tabs so that you can choose how much of an opening you need. 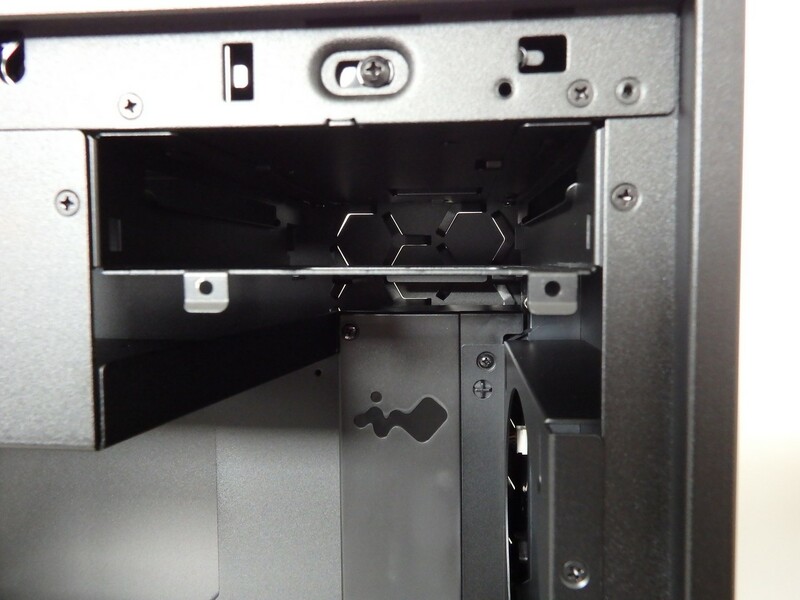 The shroud comes out with 3 screws – this proved to be more beneficial than expected as we ran the front panel USB 3, Audio, SATA 3 cables and 24-pin power and hdd/power/reset cables through a very open chamber. 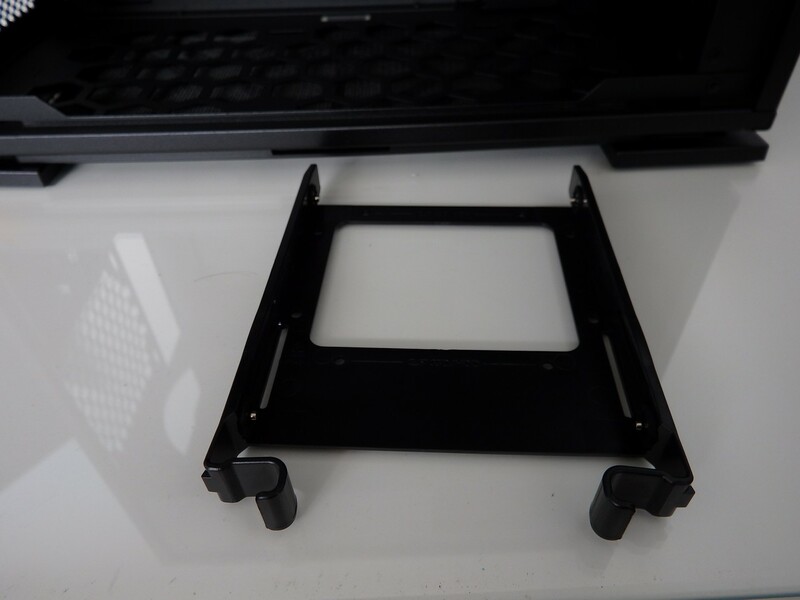 There is a single 3.5″ hard drive tray for all of your mass storage needs and 3×2.5″ mounts for solid state storage or laptop drives. 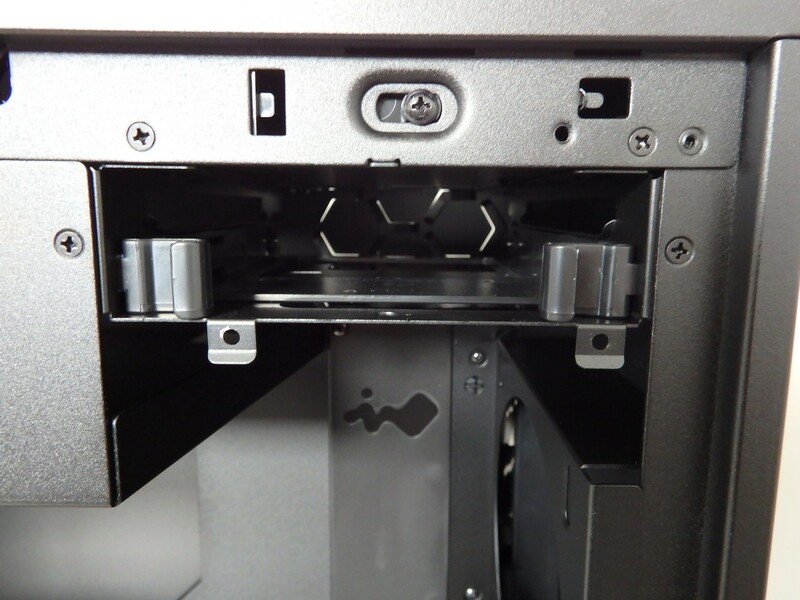 The orientation of these is good in terms of cable management and we didn’t notice any vibration being transferred from the 3.5″ drive to the chassis. 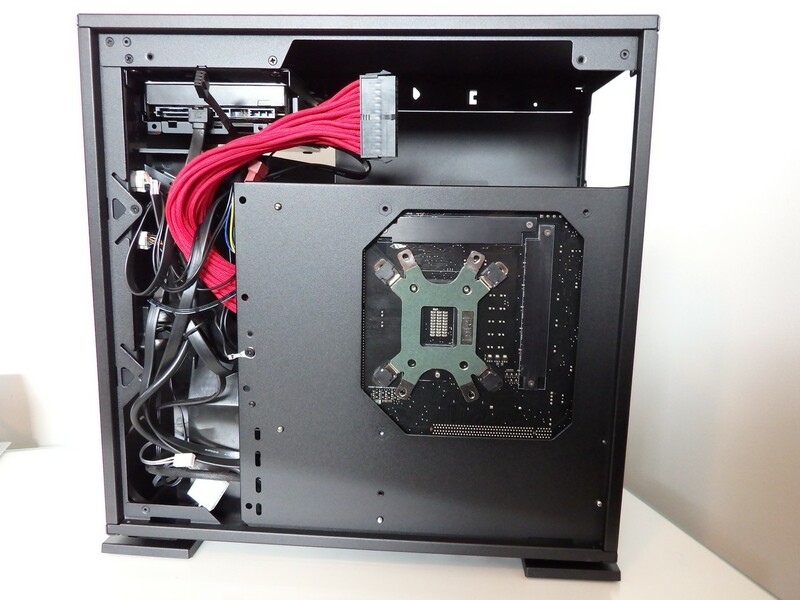 There is also more than adequate room for a semi or fully modular power supply and ‘essential’ cables in the top shrouded section of the case – so much so that we didn’t have any issues using an individually braided 24-pin power cable extension. 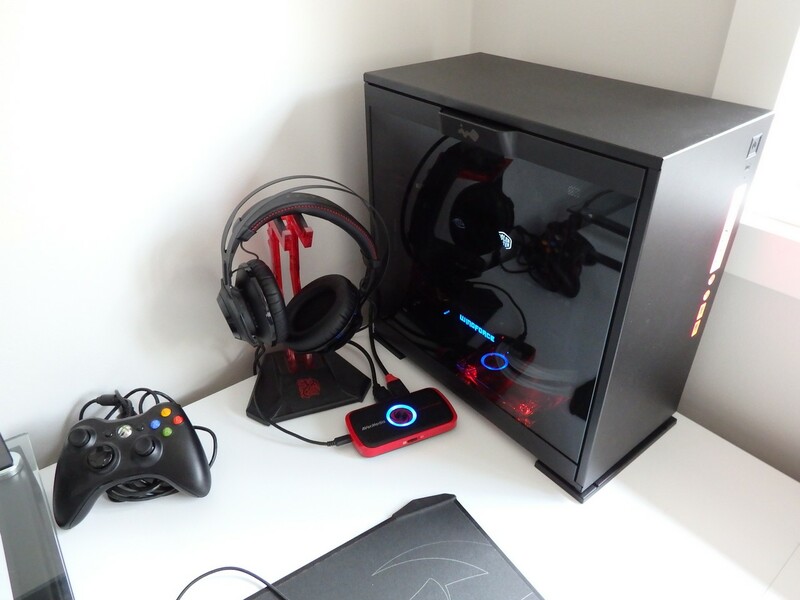 One thing to note here is that we used a semi-modular Cooler Master V650 power supply. I would not recommend using a non-modular power supply in this case due to the excess of cables that would need concealing. 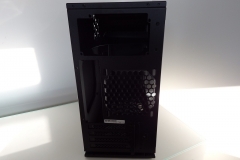 The airflow options are different to the visually similar but larger In win 303. 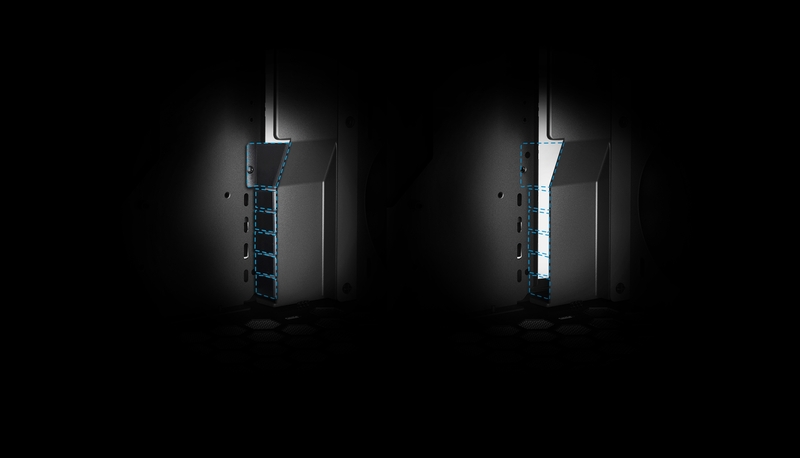 The 2x120mm front fans can draw air in (unfiltered) or exhaust air out through the vented right side panel. 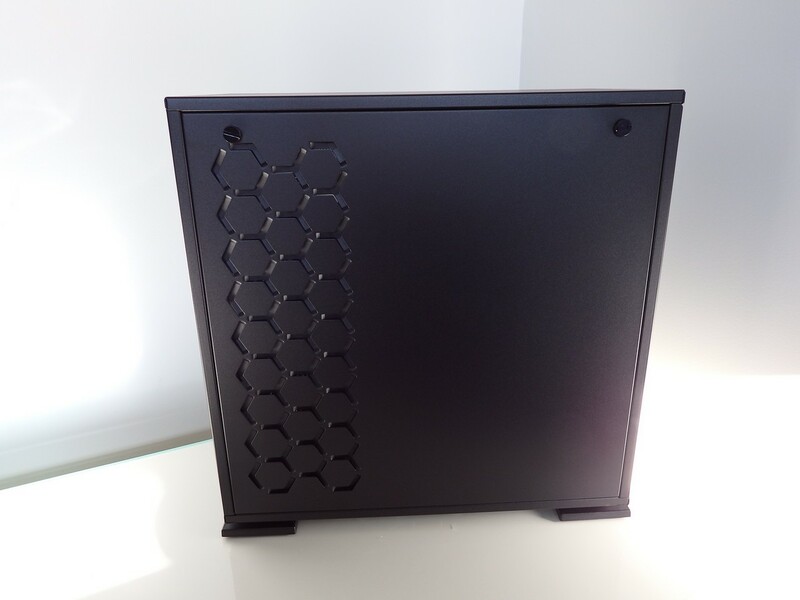 There are 2x120mm filtered fan mounts at the bottom of the case for intake which will push fresh air across the graphics card and then feed the CPU cooler. There is also a rear mounted single 120mm fan mount. 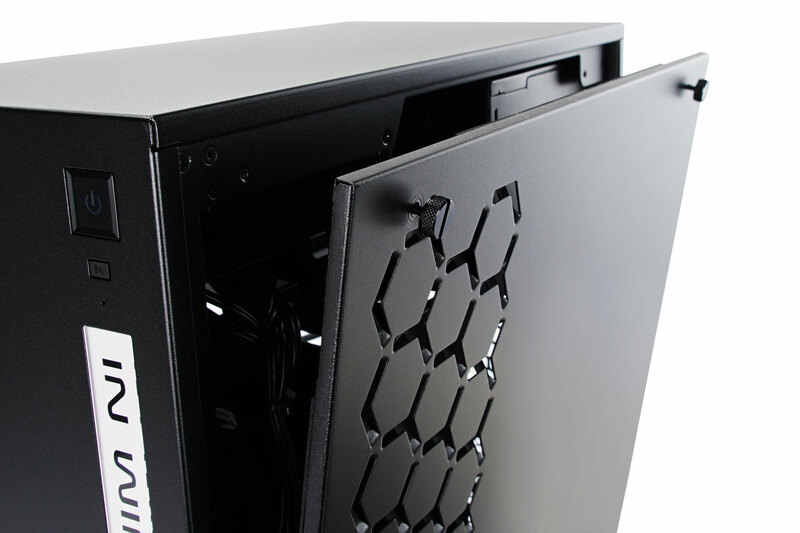 Whilst you could use a 240mm radiator with fans in the 301, it will limit the length of graphics card that could be used and could be tricky with regard to the end-tank of the radiator. 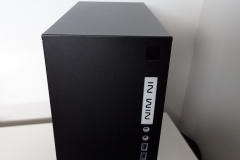 Custom water-cooling this case is certainly possible and would look great if done properly, but the airflow provided by the design is also suitable for overclocked air cooled or AIO watercooled systems. 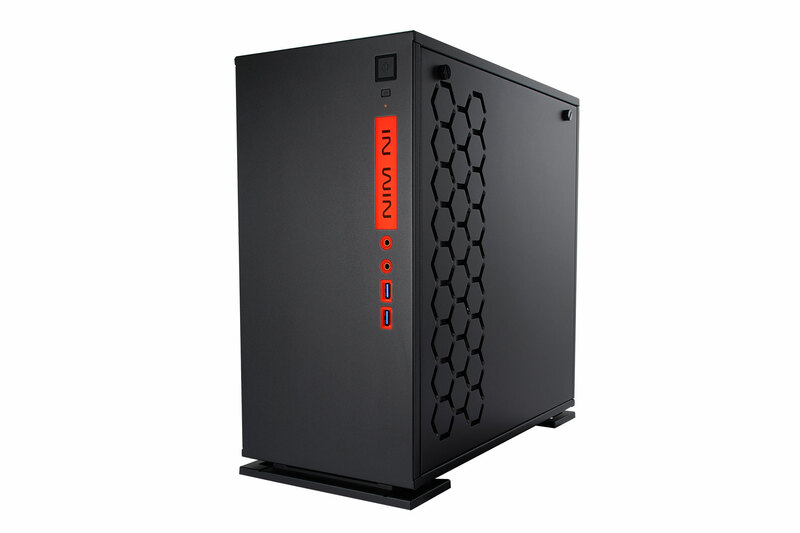 * In Win products comply with RoHS regulation. 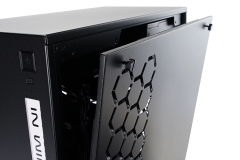 The vertical side vent is the same concept as seen on the In Win 303 but used on a smaller scale and run vertically along the front edge of the right side panel. Air can either escape or be drawn in through this vent via the cable shrouding compartment. 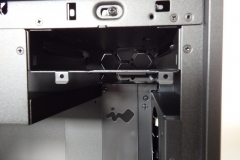 The hexagon grill design allows adequate airflow without a large cut-out or typical vent which looks good and works effectively. The packing material was consistent with both the 303 and 509 cases that we also received from In Win. 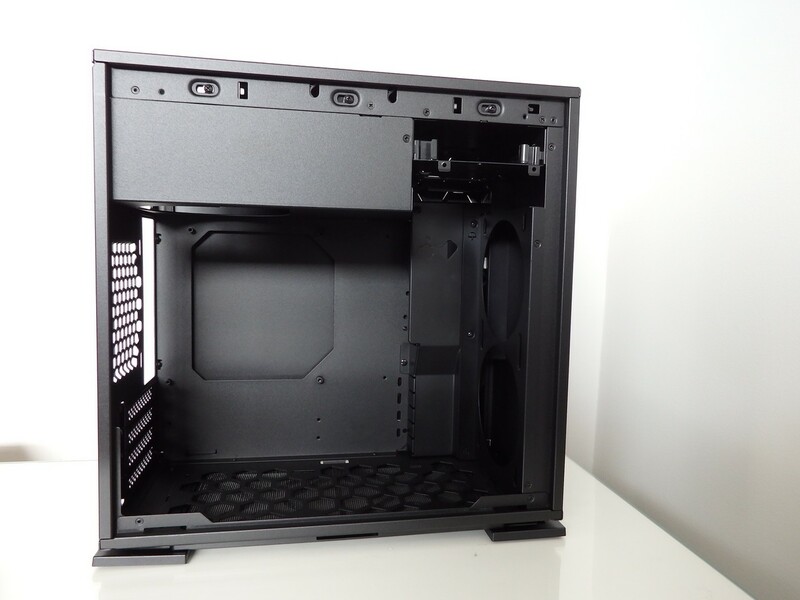 This is premium standard and beyond what we would expect from a $99 case. 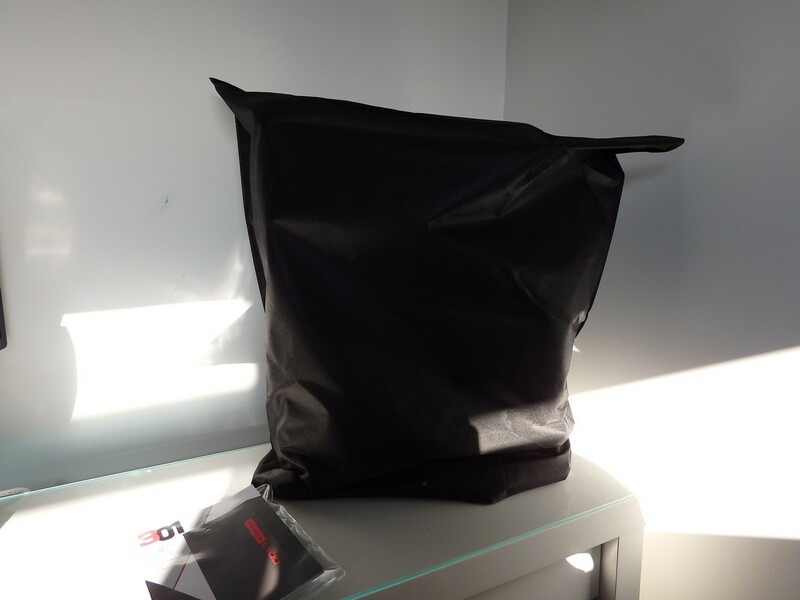 The 301 comes well packed and inside a cloth bag to protect it from scratches. 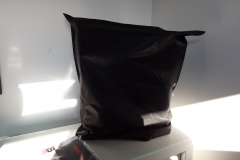 The instruction manual, accessories and screws are packed in a resealable zip-locked clear vinyl bag. 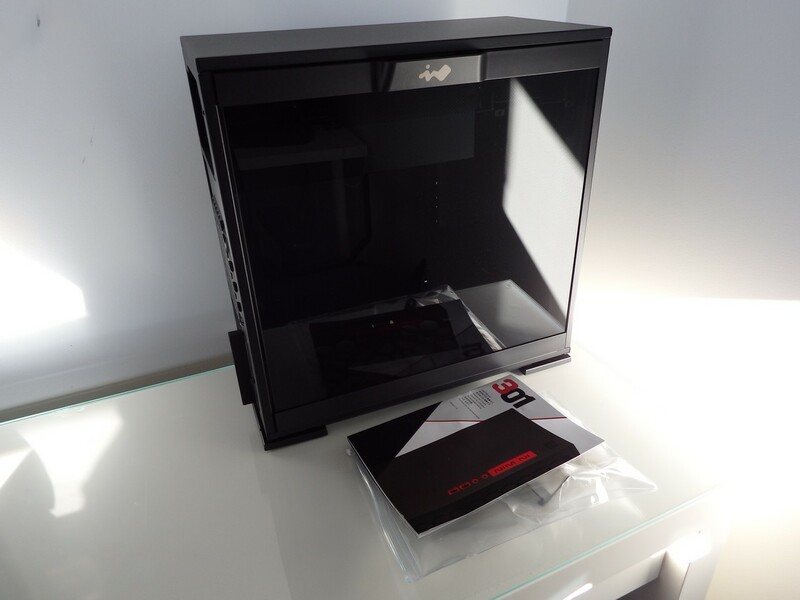 Our 301 review sample is also consistent with the promotional photos and was very well packed/protected for transport in the retail box. 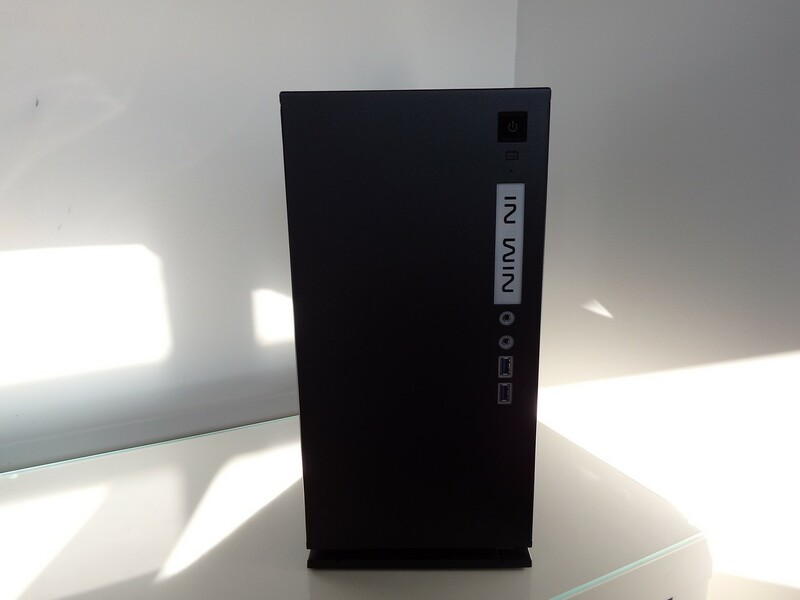 The build quality was also of a high standard with a flawless powder coat, no sharp edges and a perfectly clean glass side panel. We went with this configuration for a few reasons. 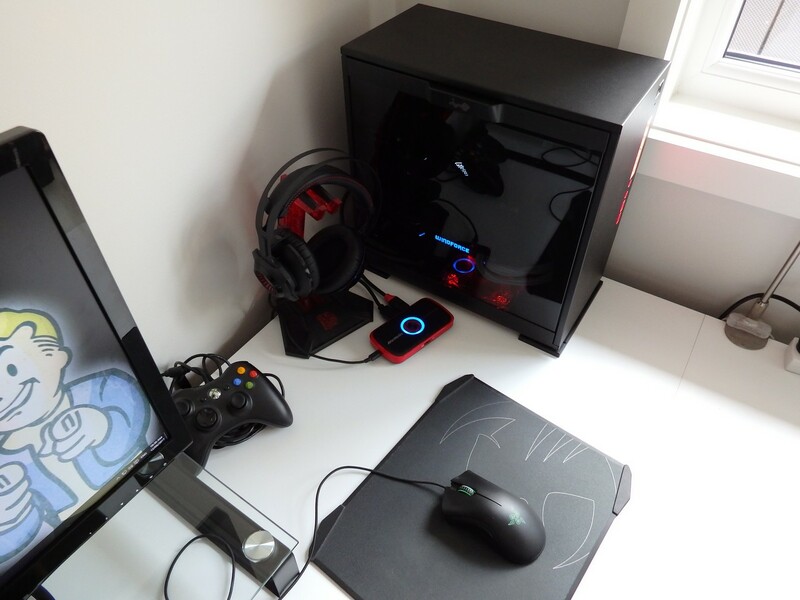 We felt it was important to overclock our CPU as per a high performance gaming rig to see how the system performed thermally – beyond the world of stock settings. The i5-4670K was perfect for this and we ran with the volts at 1.3v which is slightly higher than we needed but a better test. 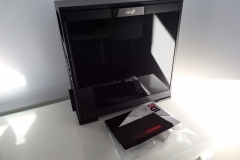 The Gigabyte GTX 960 OC Windforce 3 is a long graphics card and it dumps all of the hot air inside the case. This card also goes into passive mode with low GPU loads. 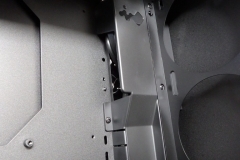 The heat sink has an indicator that lights up with “Stop” and “Silent”, making it easy to visually identify how often the fans are required to cool the graphics card. 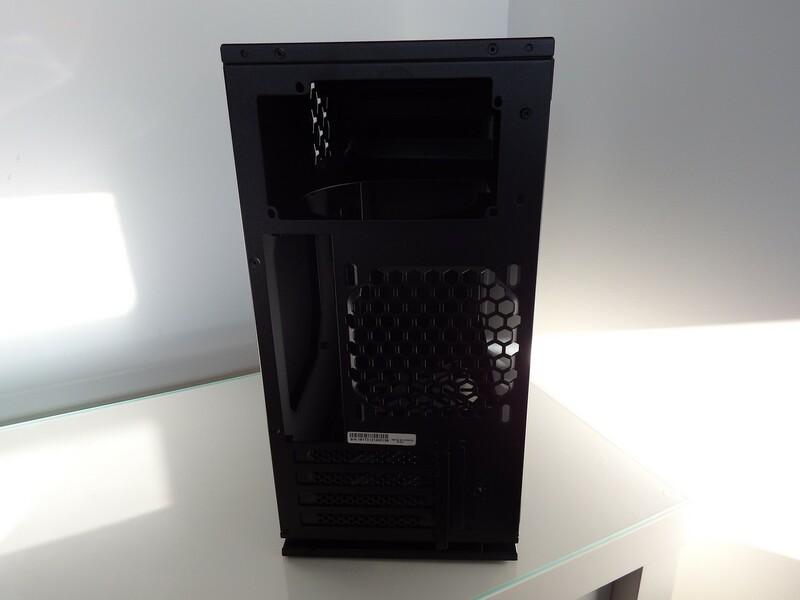 Poor case airflow would result in the graphics card fans running most if not all the time but in the practical 301 build, we were able to play Minecraft and undertake general PC tasks in passive/silent mode. 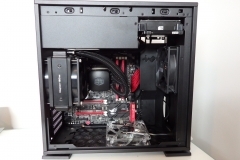 The floor mounted 120mm fan was adequate at low RPM to cool the Gigabyte GPU when not playing games. 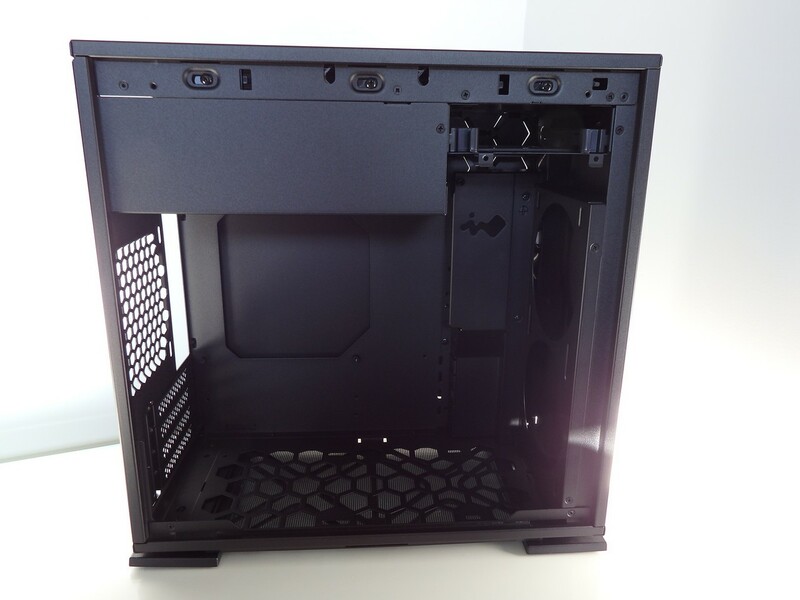 When running at full load, the case provided good airflow/ventilation with both temperatures and acoustic performance at a respectable level and in line with the larger In Win 303 case that we reviewed previously – using almost identical components. 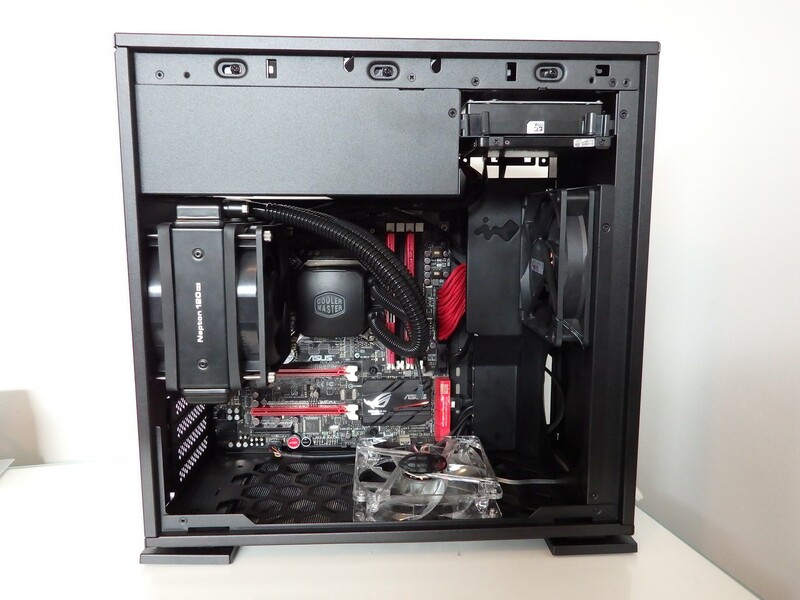 The ASUS Maximus VI Gene motherboard is an old favourite and the red/black colour scheme was a good match for the black In Win 301 case. 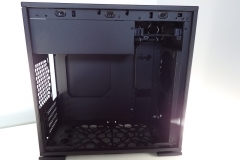 There were no issues with the fit, the rear I/O plate, access to switches, ports, fan headers or power connections. 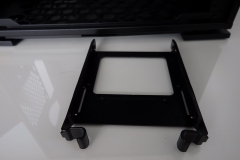 We wanted to see if mounting a 2.5″ hard drive on the 2.5″ brackets caused any vibration or noise within the case and there was none that we could hear or feel. 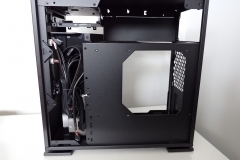 The Cooler Master Nepton 120XL was a good fit and whilst it did obscure the board, the cables and hoses were all neatly accommodated by the 301 as we had hoped. 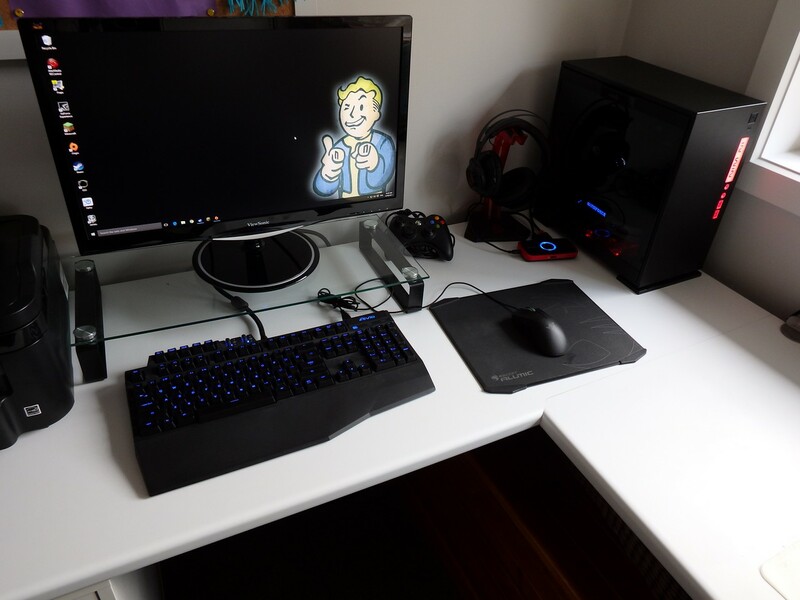 When placed next to our ViewSonic VX2457WM 24″ 1080p monitor, the compact desktop footprint of the 301 became even more obvious. 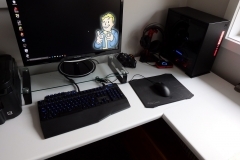 Sure, it feels small and compact as you build in it but I don’t think the little amount of space that the 301 requires can be appreciated until you have it on the desk next to your monitor and peripherals. 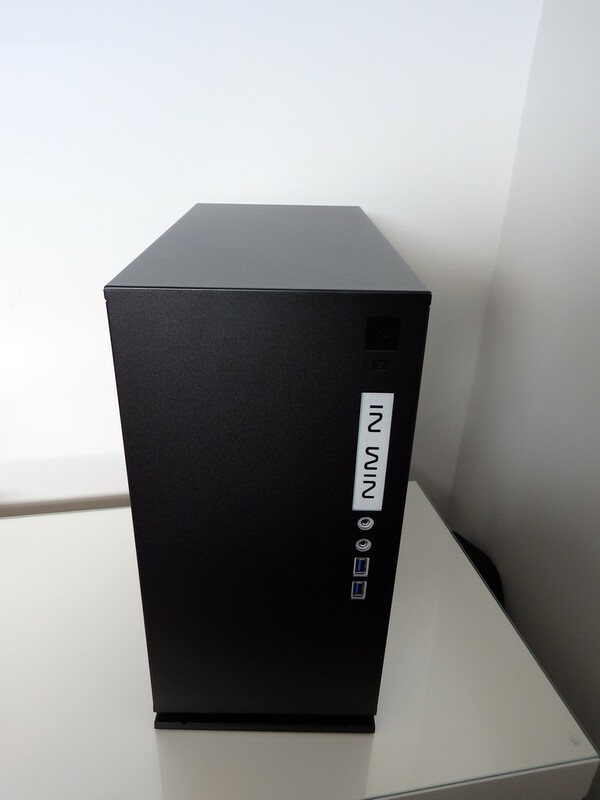 The 301 only needs a 37cm x 19cm rectangle of space on the desk which is comparable to some ITX cases. 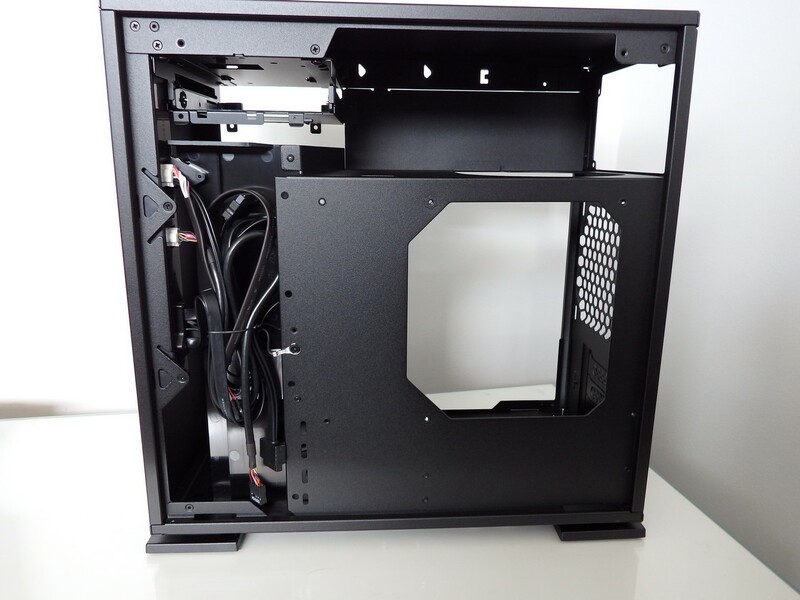 The included screws, ties and graphics card bracket are also more than adequate to complete a neat build without the need to buy more cable management supplies. The only thing you need to buy are case fans as the 301 doesn’t come with any by default. This isn’t seen as a negative from my perspective as I usually swap the fans out anyway. In Win has used two long ‘feet’ that go across the case at the bottom. These allow the dust filter to slide in and out for cleaning and also provide about 1cm of clearance for airflow intake. 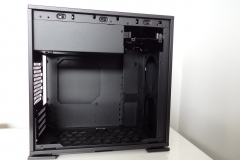 The front panel lighting is powered by a SATA connector which is also a welcome feature as it meant I didn’t need to fit a MOLEX cable to our semi-modular power supply. 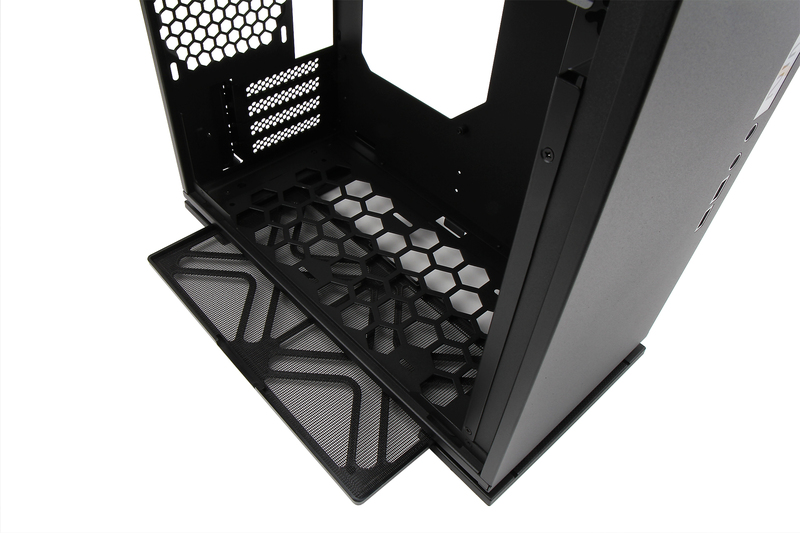 At the top of the motherboard there are headers for CPU power and CPU fans – the top shroud that houses the power supply has a well placed hold to route the 8-pin CPU cable and the fan cables for the fans and pump of our Cooler Master Nepton 120XL CPU cooler. I’d consider the In Win 301 an improvement on the larger 303 sibling. 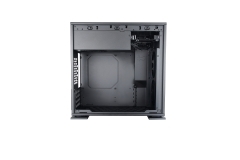 Rather than appearing to compromise when compacting the design from the ATX 303 case to the M-ATX 301, it looks like In Win may have found opportunities to make the 301 even neater aesthetically. 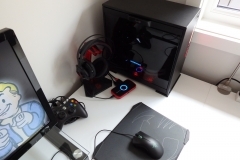 Building in the 301 also created some internal conversation about the merits of Micro ATX gaming build over full ATX systems. M-ATX motherboards are generally cheaper to buy and are still available with high-end features such as gaming-grade audio, improved LAN, overclocking capability, 4 RAM slots (compared to the limit of 2 on an ITX board), an M.2 socket and at least 6 SATA ports. 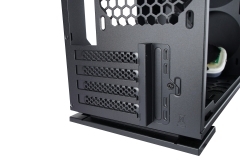 Most people only use a single graphics card and with all that goodness on the motherboard, it could be argued that the extra slots of a full sized ATX motherboard are excessive. The In Win 301 is competitively priced at $99 online making it suitable for people watching their component costs but still wanting a good looking case. 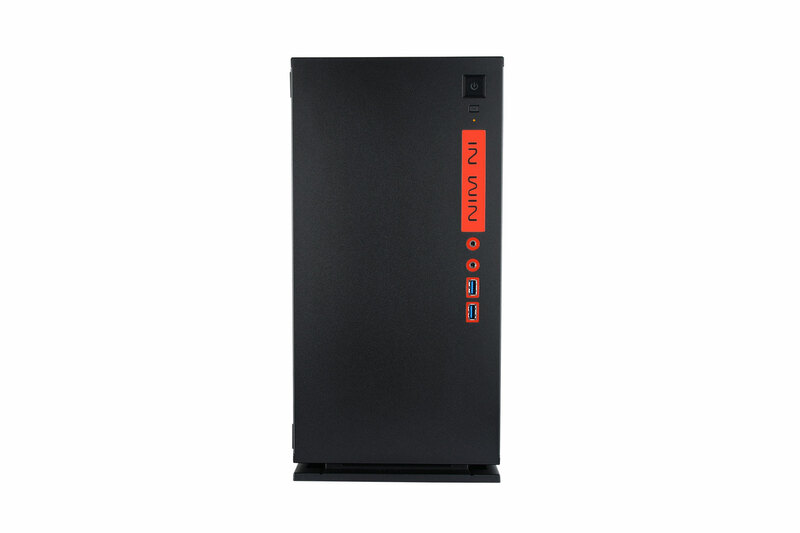 The In Win 301 has good airflow potential, easy access to the backlit front panel I/O ports and a compact, clean appearance. 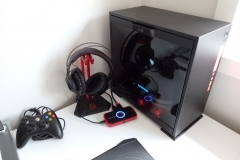 The solid flat case roof means that you can place light items such as magazines, game controllers or a VR headset, manuals, etc on the top without compromising airflow. 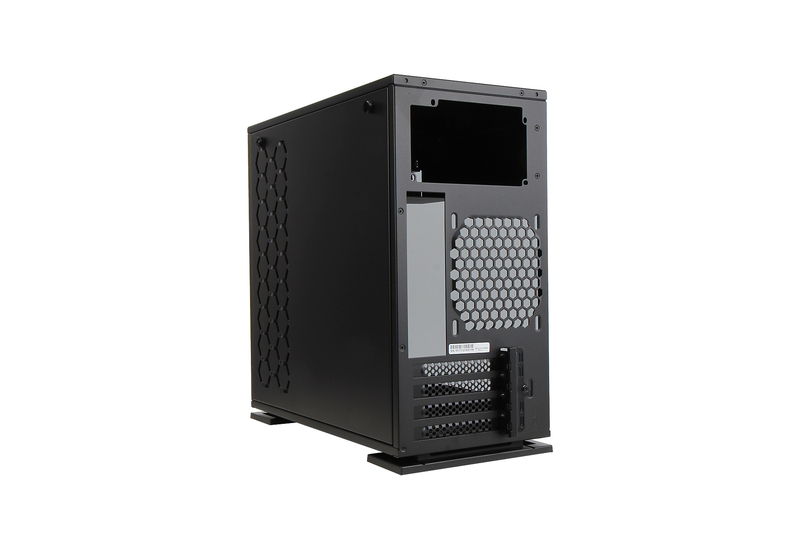 Personally, if I was to build a Micro ATX sized rig at the moment, I’d plan the components around this case or perhaps the 301-C version that has recently been released. Spacious main chamber with good cable management.